This book is divided into ten detailed parts and contains specialist contributions from a forensic accountant and an actuary. The book contains a new section on insolvency, debt and market volatility to assist practitioners in dealing with the consequences of the credit crunch. In concentrating on complex areas of practice, this book provides practitioners with assistance in unlocking assets for the benefit of their client. This edition has been fully updated to take account of recent changes in case law and the impact for practitioners. 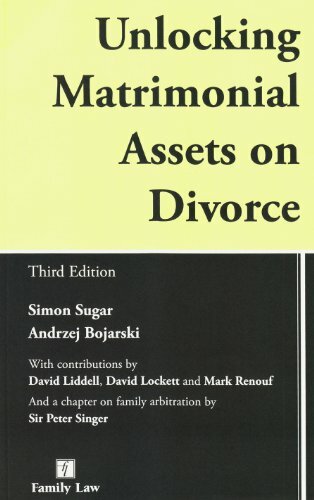 Unlocking Matrimonial Assets on Divorce is an eminently practical publication aimed at specialist ancillary relief practitioners and also those lawyers who only intermittently undertake work in the area.